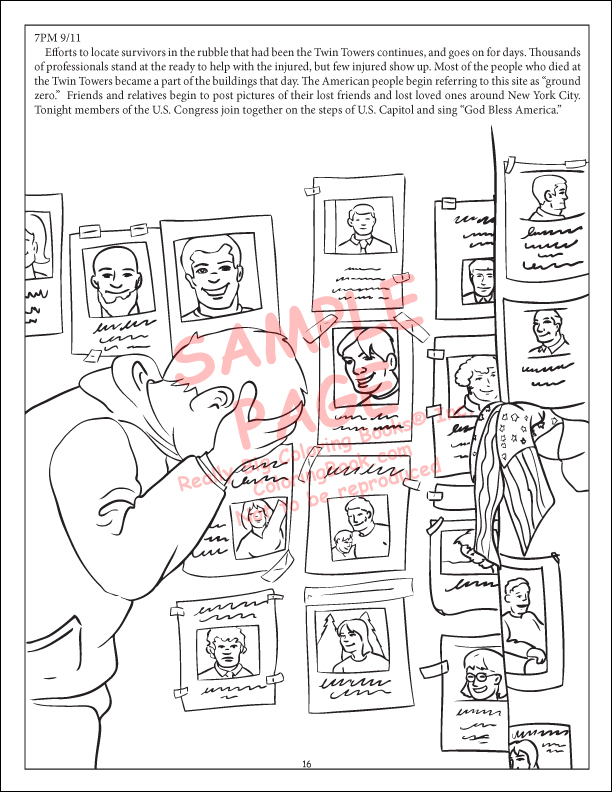 Parental Guidance Suggested, the publisher has issued a new rating guide for childrens graphic and coloring novels with this book. 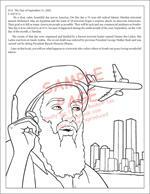 To the American people and all others who may read this child's coloring book, We Shall Never Forget is designed to be a tool that parents can use to help teach children about the facts surrounding 9/11. 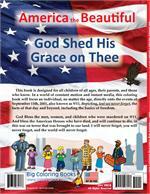 This book also describes basic freedoms in America. We suggest parental guidance. As the 9/11 events are shown countless times on national media, this book will help children understand the meaning of these events. 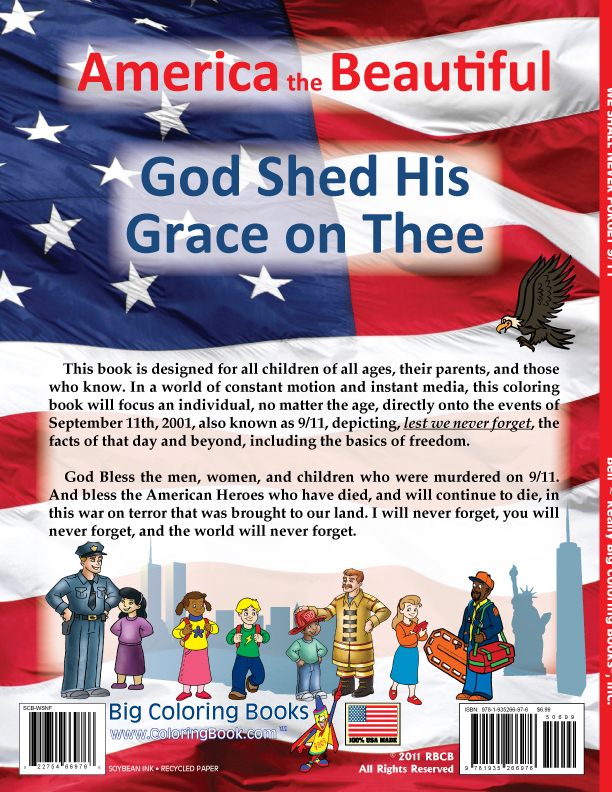 The book was created with honesty, integrity, reverence, respect and does not shy away from the truth. 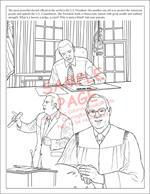 Really Big Coloring Books, Inc., has chosen that a portion of the proceeds from the sale of this book are donated to Bridges for Peace. A Jerusalem-based, Bible-believing Christian organization supporting Israel and building relationships between Christians and Jews worldwide through education and practical deeds expressing God's love and mercy. They presently feed 26,000 people a month of all backgrounds, have brought into the land of Israel more than 36,000 Jews and renovated more than 825 apartments of the needy and elderly in the Jerusalem area. Many are Holocaust survivors. 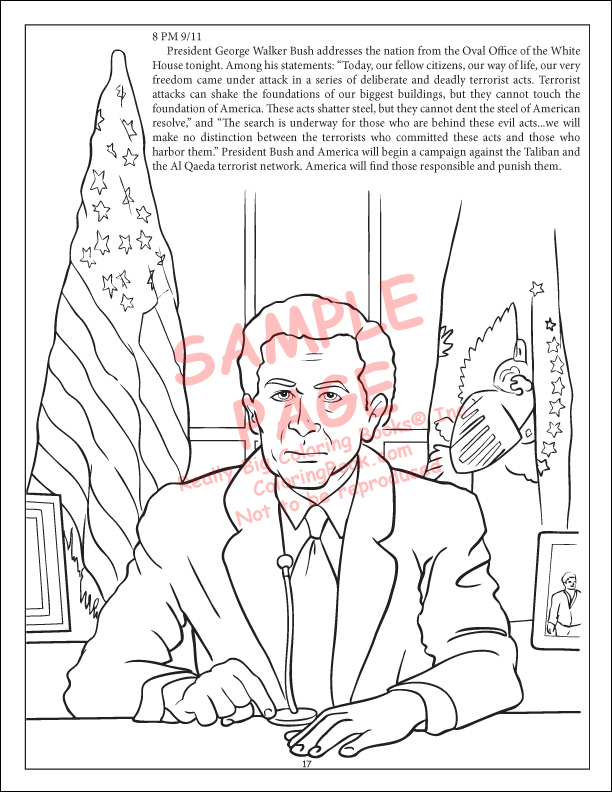 In a world of constant motion and instant media, this coloring book will focus an individual, no matter the age, directly onto the events of September 11th, 2001, also known as 9/11, depicting, lest we never forget, the facts of that day and beyond, including the basics of freedom. God Bless the men, women, and children who were killed on 9/11. And bless the American heroes who have died, and will continue to die, in this war on terror that was brought to our land. I will never forget, you will never forget, and the world will never forget. In this book you will see what happens to a terrorist who orders others to bomb our peace loving wonderful nation. 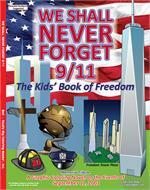 The September 11, 2001, attacks on America are now commonly referred to as 9/11. It was a series of coordinated attacks by a radical Islamic Muslim extremist terrorist group who call themselves Al Qaeda. 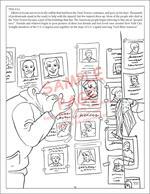 They were self-proclaimed Jihadists; many American people refer to them as homicide bombers. 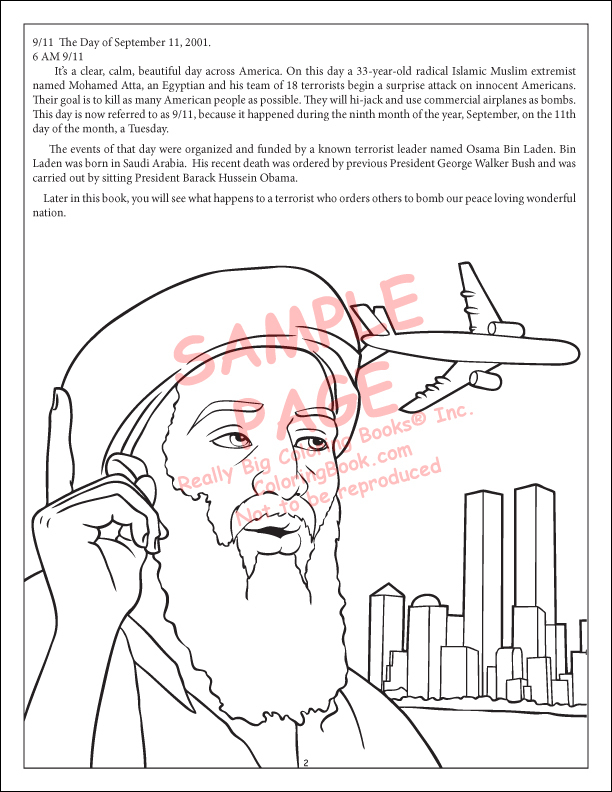 their leader was a Saudi national named Osama Bin Laden, and his men used hijacked U.S. airplanes as weapons. The hijackers intentionally crashed two of the airplanes into the World Trade Centers in New York City. A third airplane was crashed into the Pentagon, close to Washington, D.C., and a fourth airplane was crashed into a rural area at Shanksville, Pennsylvania. The radical Islamic Muslim extremist hijackers wanted to crash the fourth airplane into the U.S. Capitol in Washington, D.C. Heroic Americans onboard that airliner stormed the cockpit and made the airplane crash into a field, thereby saving many, many lives in the Washington, D.C. area. What brave people. A total of 3,000+ innocent people from over 70 countries were killed. There were no survivors from any of the airplanes. Terrorism is human made and is very old; it comes in people of all shapes, sizes, and colors. 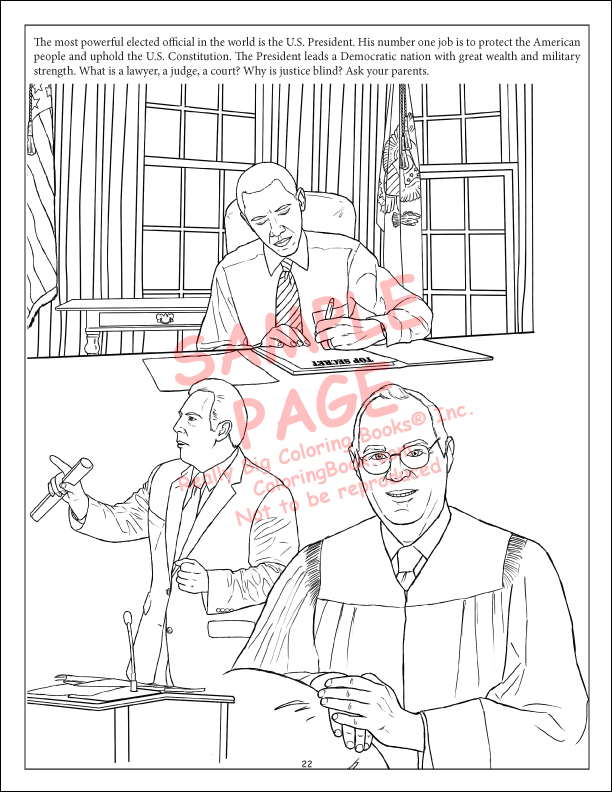 Children of America! As you grow, Do Not Forget. This is your world now.